Find us on the Net! 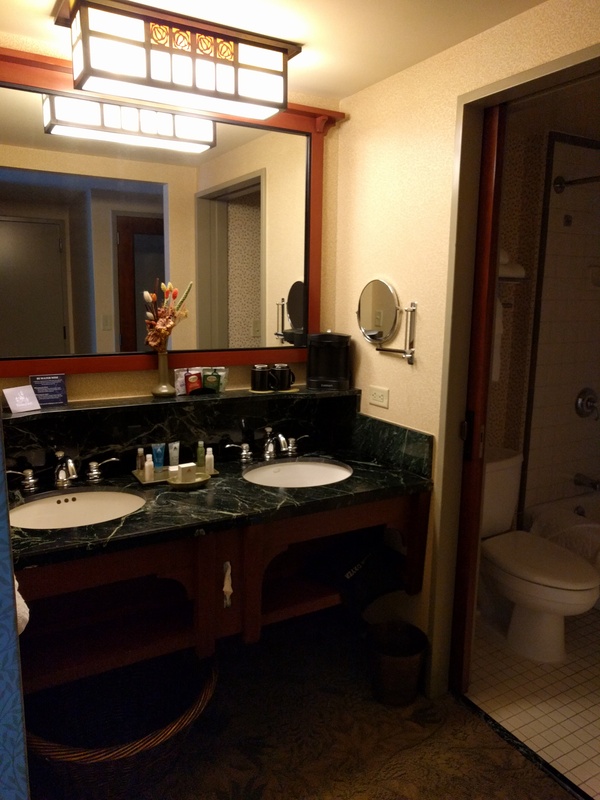 During my recent visit to the Disneyland Resort, I had the opportunity to stay in all three of their onsite hotels. 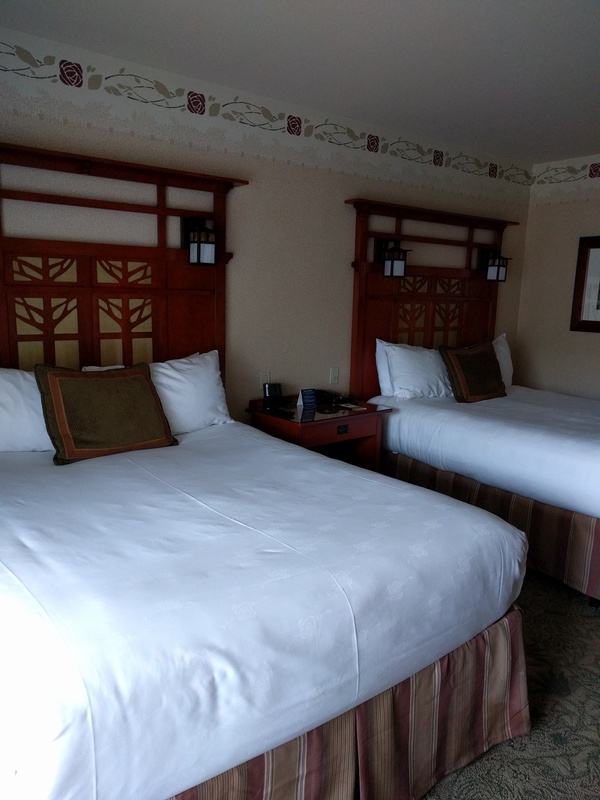 In this post, I’ll be giving you my thoughts on the Grand Californian Hotel and Spa. Let me just start by saying this is quite possibly the most beautiful hotel I’ve ever had the pleasure to stay in. The lobby alone is incredibly impressive and gorgeous. If you’ve ever visited Animal Kingdom Lodge or Wilderness Lodge over at Walt Disney World, the design will look familiar to you as all three were designed by the same architect. Though not quite as sprawling as some of the Walt Disney World resorts, this is the biggest resort on Disneyland property. It’s home to Storyteller’s Cafe, the character meal location, as well as Napa Rose, considered one of the best restaurants in the city. I did have breakfast at Storyteller’s and it was delicious. Characters there included Chip and Dale, Pluto, and Koda from Brother Bear. 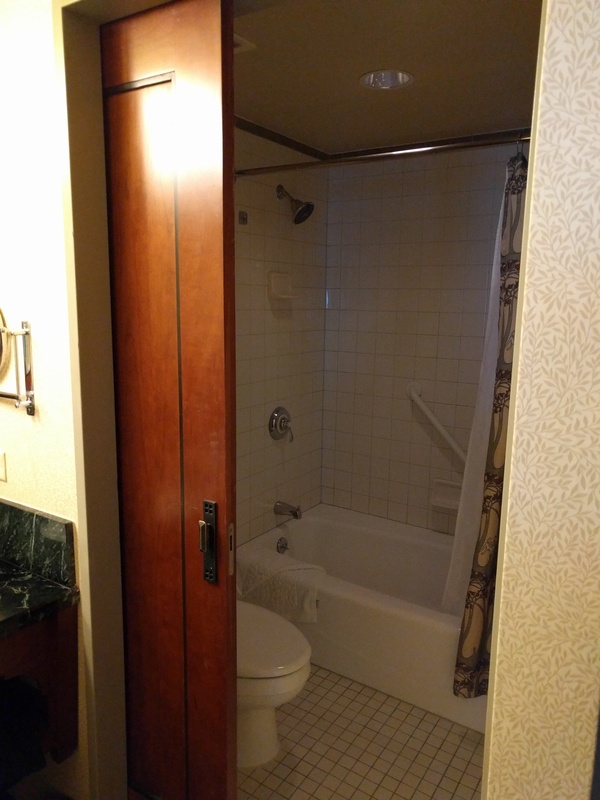 The rooms were fairly standard size, though I felt they could use a bit of a refresh. The rooms were not quite as luxurious as I thought they should be for as much as they cost per night, however, the beds were comfortable and the rooms were clean. The nightly turn down service with chocolates on the pillows was a nice touch. 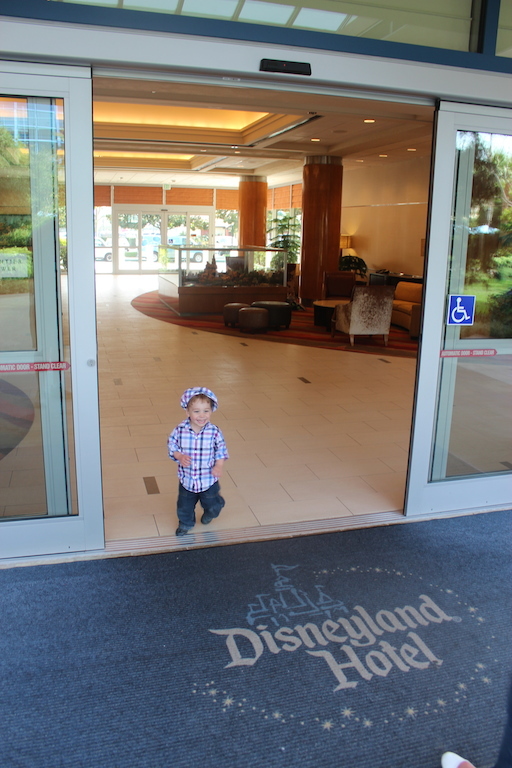 For me, the main draw of this hotel is the gate to California Adventure located within. In fact, my room was located just a minute’s walk from the gate so I could be inside California Adventure park within 5 minutes. The gate location is right near Grizzly River Run Rapids and steps away from Soarin. In the mornings, only hotel guests are allowed to use the gate, so if you’re trying to beat the morning rush, this is a fantastic perk. It’s also very convenient for a midday break if you’re so inclined. 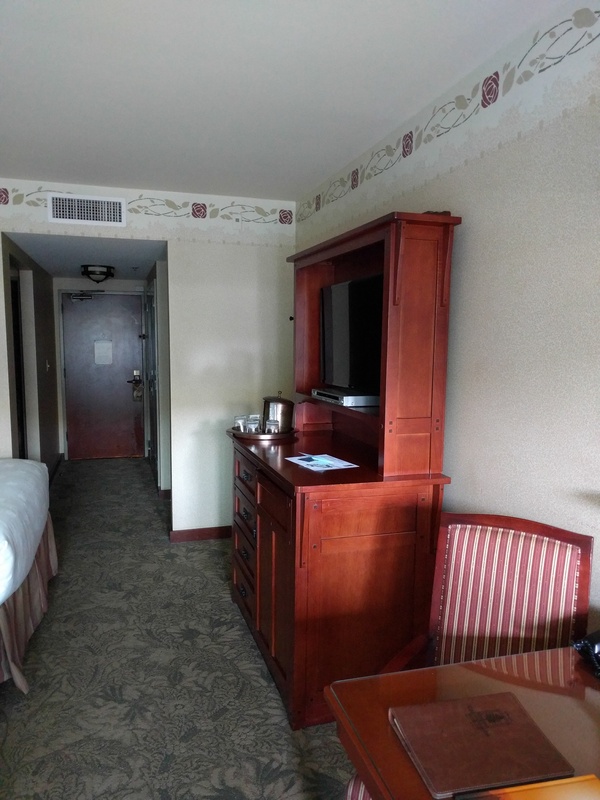 The hotel also opens up to Downtown Disney so it’s very conveniently located for shopping. From there, it’s just a couple more minutes walk to Disneyland Park. This is the closest onsite property so if location is worth more to you than price, this is where you want to stay. 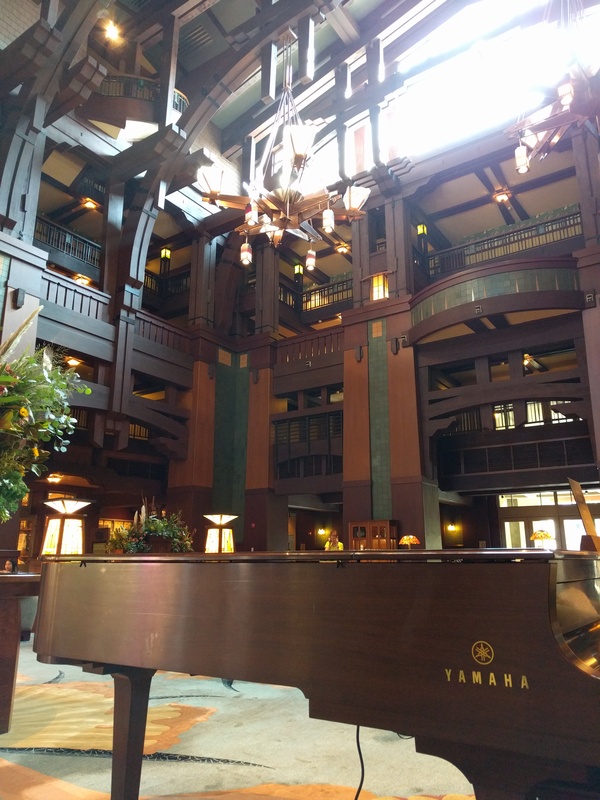 Overall, it’s a great resort but I don’t think it has as much charm and personality as Disneyland Hotel. I think this hotel would be fantastic for adults only trips or couples just due to the sophisticated decor, however, the location makes it perfect for families with small kids. 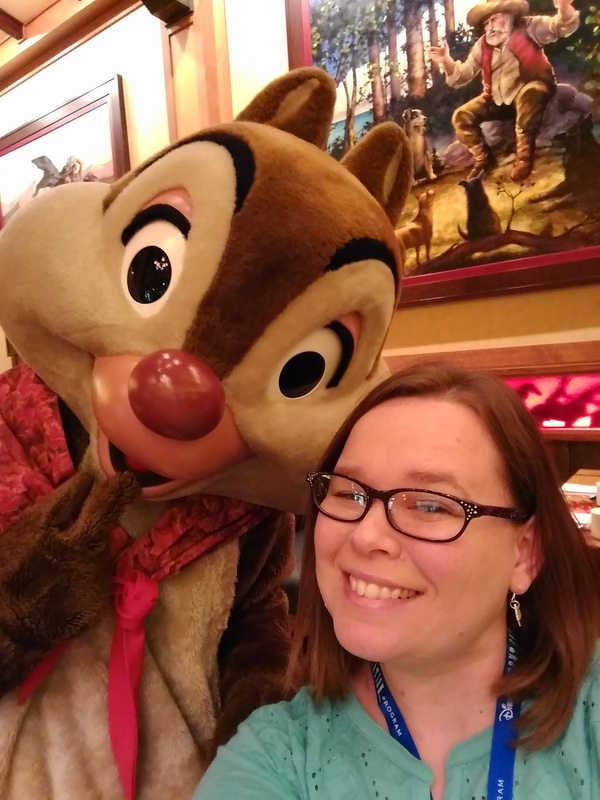 A few weeks ago, Shannon attended an agent education program at Disneyland in California. She’s back to tell us all about what she learned and how Disneyland differs from Walt Disney World in Florida! 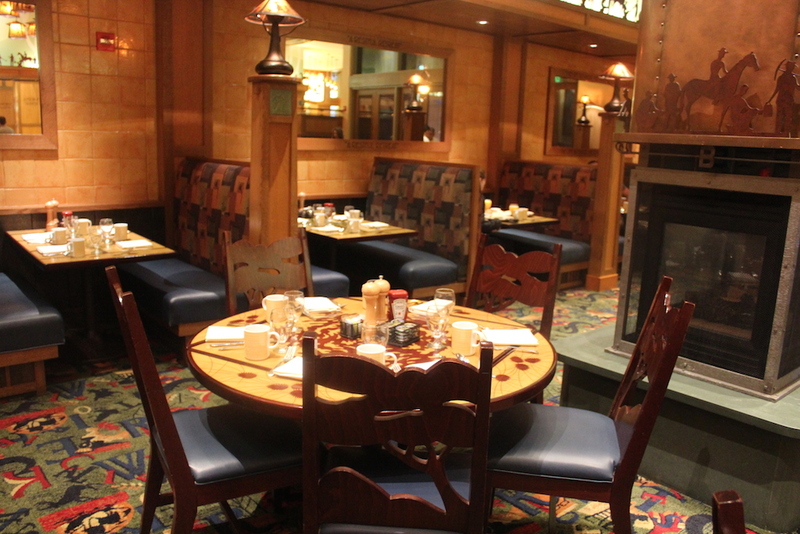 Our last full day at Disneyland started with an early breakfast at Storyteller’s Cafe in the Grand Californian Hotel. 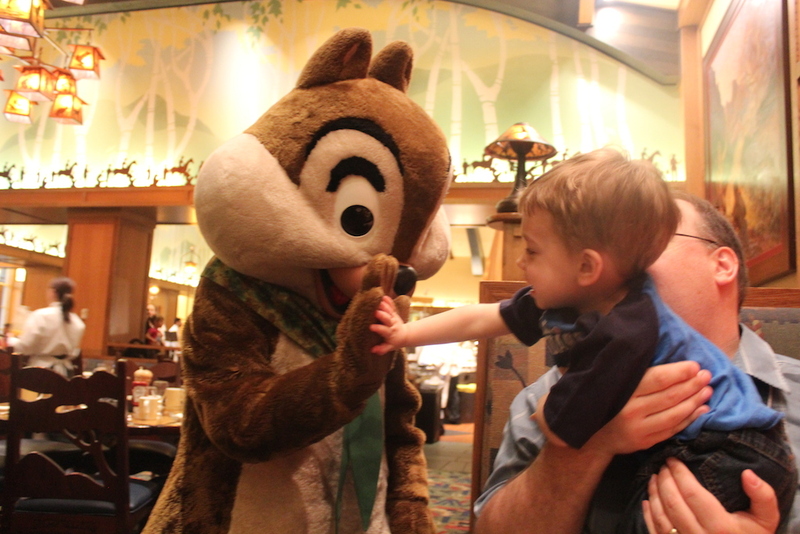 This breakfast is hosted by Chip and Dale and features all kinds of critters, in addition to the chipmunks we met Koda and Meeko. The characters were fun and the food was incredible. It was a buffet with an omelet station and lots of boxed cereals we took for snacks for later. Once we finished breakfast we headed to Disneyland. We had made a customized Touring Plan on the Lines App from http://www.touringplans.com. We had lots of things we wanted to do and with it being Easter week and high crowds we needed some guidance. 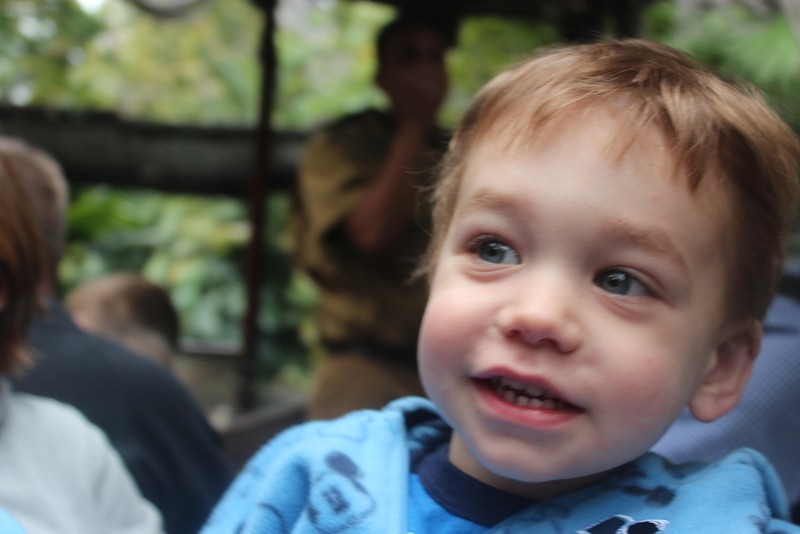 We started out with the Jungle Cruise. We had an excellent skipper and Anthony loved all of the surprises throughout the ride. 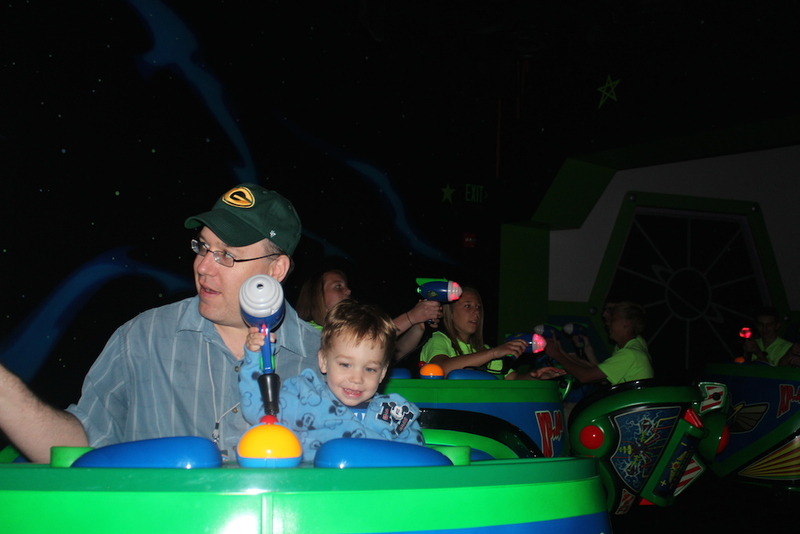 Next we headed to Tomorrowland and rode Buzz Lightyear. This is one of Anthony’s favorites and the one is Disneyland is better because you can remove the shooters from their perch. Afterwards we trucked it over to Pirates of the Caribbean– in my opinion this one is superior to the one in Walt Disney World…. and it has a steeper drop– it wasn’t too steep as I’m a wimp about drops and found this one to be fine. Our next stop was to go The Matterhorn Bobsleds. 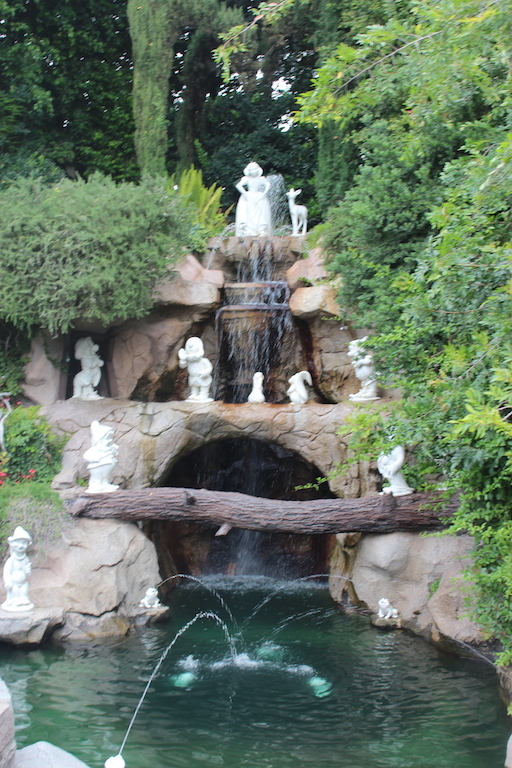 On our way we stopped at the grotto next to Sleeping Beauty’s castle. My sister could not believe that there was a Snow White scene next to Aurora’s castle. She was thinking the three fairies would be a better fit. 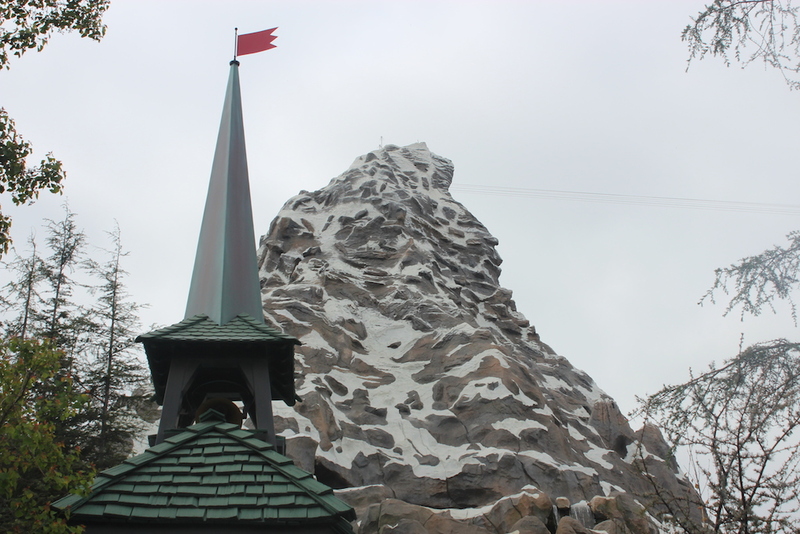 The Matterhorn Bobsleds are a Disneyland icon and a unique attraction. My husband and sister rode this and I hung out with Anthony as he napped. They liked it, although it was a quick ride. My husband said it’s similar to Big Thunder Mountain Railroad in intensity level. 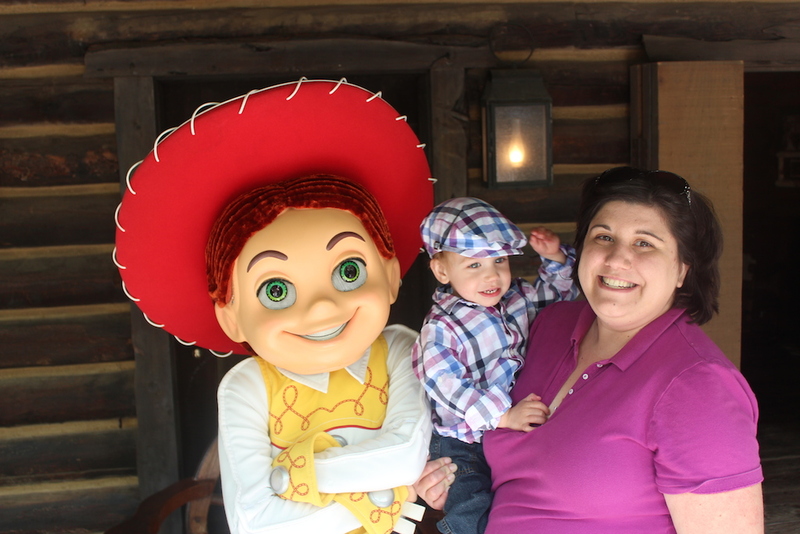 One of my main objectives of the day was to head over to Big Thunder Ranch. This is a covered hoedown area and it was hosting a Springtime Round-up featuring classic characters in their Easter outfits and popular Disney bunnies. Click here to see our review of this. This was one of our favorite places-not many people seemed to know about it and was the only place in the park without crowds. Afterwards we got to meet Jessie- she was a lot of fun! After lunch and a few more rides we decided to head out of the park for an afternoon break. As we were walking by the castle, Alice and the Mad Hatter were walking by completely unattended (which would never happen at Disney World). 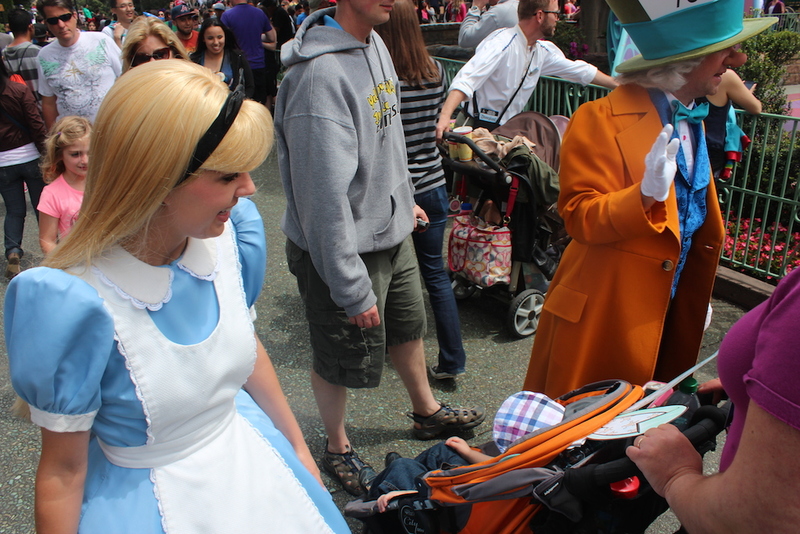 Alice stopped at Anthony’s stroller and complimented his outfit and the Mad Hatter told him that he looks like a chimney sweep because he still had his Easter hat on. It was completely random magic–sometimes the best kind there is. We headed back to our hotel for a mid-day break, nap, and to start packing to fly home. 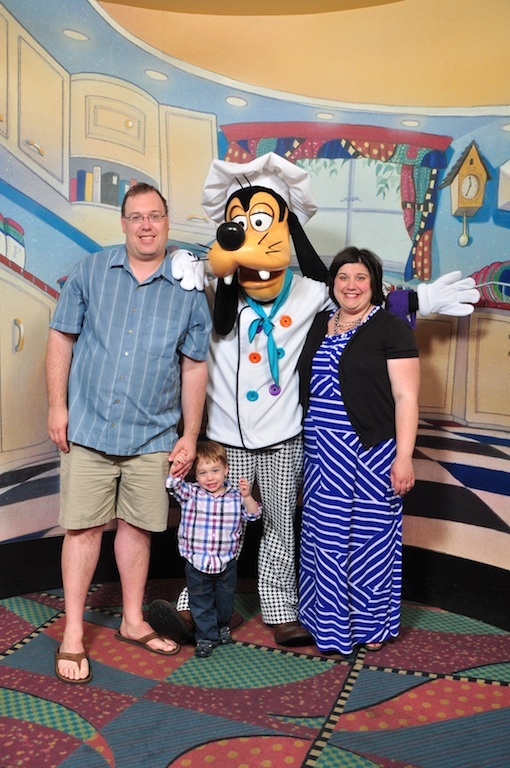 Dinner that evening was at Goofy’s Kitchen. I was really looking forward to this one as there is a huge variety of characters and heard good things about the food. The food was fine, but they charge this as a premium character meal. I do not think the buffet was worth the premium price tag. There were lots of characters: Goofy greeted us at the door, we met Aladdin, Minnie, Chip, Dale, the Mad Hatter and a few more. We had the least amount of character interaction here. They seemed very rushed and sometimes skipped tables. 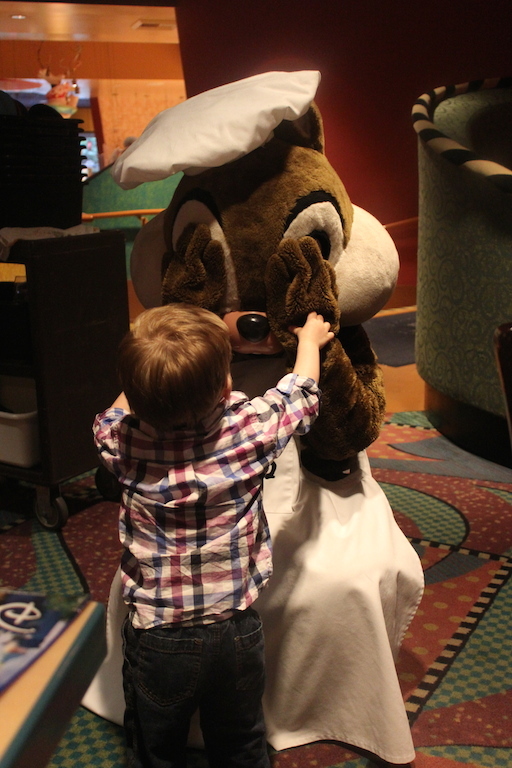 I much prefer the other character meals we had. We ended the night early since we were all exhausted from the long day! 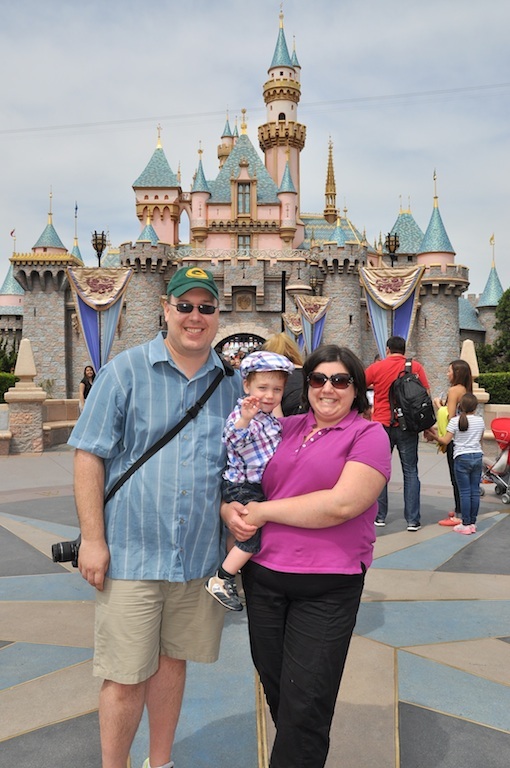 This is part of my trip report on our April 2014 visit to Disneyland, Califorina. To read more posts about this trip, click here. Listen to our latest podcast here! Or click here to listen or subscribe to our podcast on iTunes! 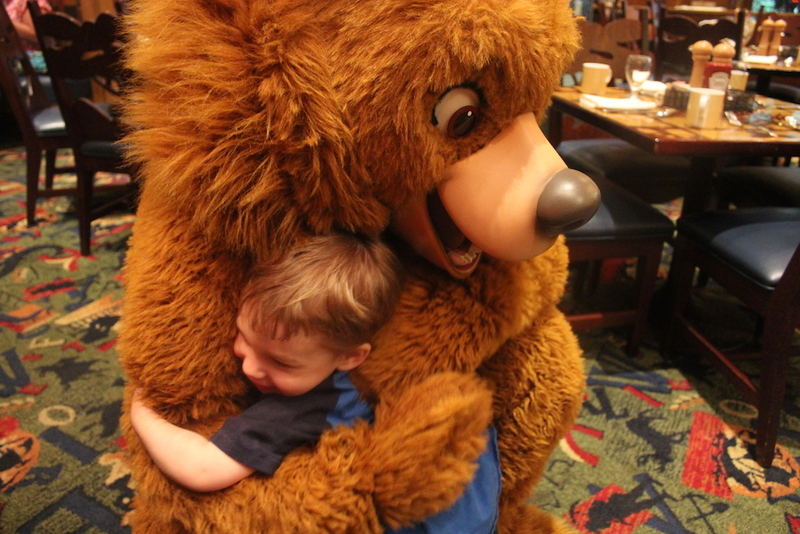 Podcast Episode 231: When Should I Visit Walt Disney World? Enter your email address here to receive notification when we post a new blog! Dole Whipped: Dishing on Disney is in no way endorsed, authorized by or affiliated with the Walt Disney Company.